Images, Okinawa’s premier vehicle customizing service, is pulling out all the stops as it celebrates 10 years of making cars look—and sound—the sharpest on the island. 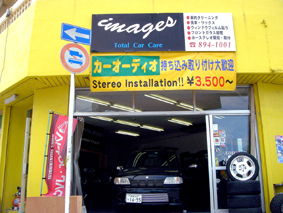 Transforming the appearance and sound of a car to reflect the personal image of its owner is a specialty at Images, operating near Futenma Marine Corps Air Station in Ginowan City. It’s something Images has been doing for a decade, and customers are being offered 20% discounts on services October 1st ~ 6th. “Our aim is to team with a car’s owner to create a unique ‘personal touch’ guaranteed to have eyes turning and following as the car heads down the road to the beach or a party,” Masaya Sunagawa, the store manager says. One Images customer says “A car is the look at man’s other self, and these images send a message as to who he really is.” Images considers each customer, and each car, as a personal work of art, and works hard to generate that special look. Window tinting is offered for two sides and the rear back window, with prices starting at ¥13,000. The full treatment, all four sides plus the back window, is available for ¥18,000. All tinting is easy to see, day or night, and inside or outside. “The transformation is cool and safe, and comes with a two-year warranty,” Sunagawa explains. Images is also offering a tinting for only the front two sides and windshield. Neon lights, another Images specialty, is guaranteed to draw attention. Images specialists work with car owners to get exactly the special look. Bikers turn to Images when they want custom cleaning and coating. Motorcycles look good after a visit to Images. 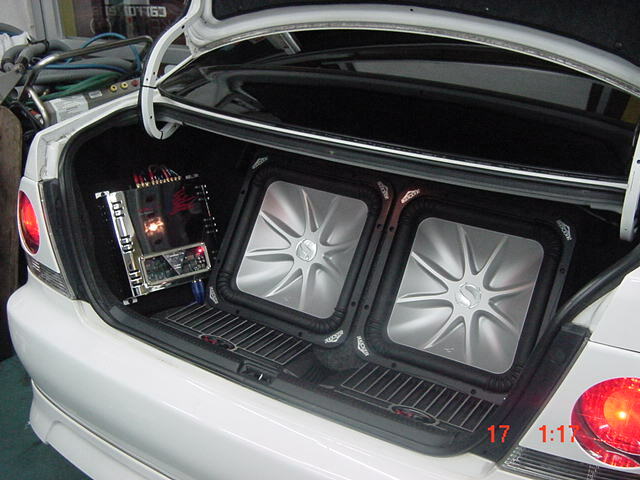 Images’ other immensely popular specialty is transforming car sound systems into a stereo buff’s heaven. Systems are designed for smooth sounds first, then combined with a custom designed trunk, and skillfully completed with an attractive carpet. Images is a full service shop, offering free consultations to customers. Images even provides free loaner cars while customer cars are getting a makeover. Auto detailing, interior cleaning, hand wash and wax treatments, and body and paint repair are also services provided by Images. As part of its anniversary celebration to thank its customers, Images is offering original Image stickers, sized 50cm x 30cm, to customers purchasing ¥3,000 or more in goods or services. Images is open daily, except Sundays, 9 a.m. to 7 p.m. Appointments can be made at (098) 894-1001. Images is located across from Futenma Housing Area, about halfway between Futenma Shrine and Hwy 58.